Pakistan’s Prime Minister Imran Khan has again rejected the NRO’s rumors with great inspiration and confidence. He has said that in the past, whatever the NRO was given to the political interests of the Constitution and the law, they damaged Pakistan unreliable. On one hand, the national treasury was completely shifted to the returning people and on the other hand, on billions of rupees, the costs were ignored. Imran Khan is so sensitive about the NRO that he told Lebanese Prime Minister Saad al-Harri in Dubai. Pakistan is listening to the NRO again, according to Pakistan Foreign Minister Shah Mehmood Qureshi, Finance Minister Asad Umar, and Information Minister Fawad Chaudhary. Saad al-Harriri stood up and said in dramatic words that it was a big mistake to forgive Mian Nawaz Sharif. On which they are embarrassed because Mian Nawaz Sharif did not fulfill any promise in that case. The history witness is that Saudi Arabia guarantees Mian Nawaz Sharif- while the United States and Britain have guaranteed the agreement between General Pervez Musharraf and Ms. Benazir Bhutto. General Pervez Musharraf released NRO and released thousands of killers, criminals and corrupt elements from the jail and eliminated the cases. However, the Supreme Court ruled General Pervez Musharraf’s NRO as it was the NRO constitution and the law. 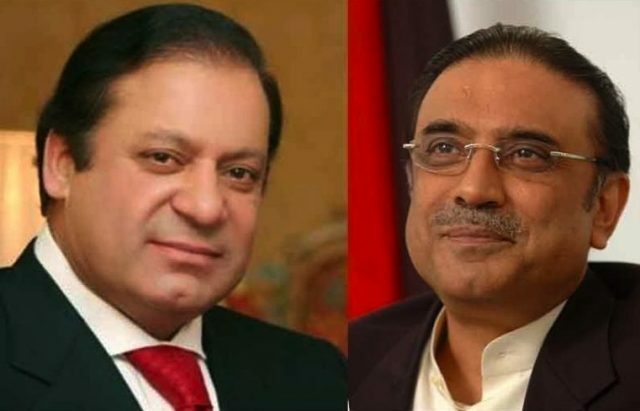 Mian Nawaz Sharif and Asif Ali Zardari are both powerful and influential politicians of Pakistan whose supporters and facilities are available in the military judiciary and the bureaucracy both the leaders have parliamentary power too, it is not possible to run the National Assembly and Senate without the support of PML-N and PPP. Mian Nawaz Sharif and Asif Zardari are also influenced by the global establishment. Other countries of China, including China, are friends of Pakistan and are interested in investing in Pakistan they want that there should be political stability within Pakistan so that it can become an environment of investment within the country and Pakistan could economically stand on its feet. In these circumstances, the authorities of Pakistan will have to take any such way according to the constitution and the law that’s why the national wealth of Pakistan’s return is also returned and political instability, disintegration and corruption will end. The fact is that Pakistan can not progress any further without accountability however, if the accountability process is causing political instability, and then there will be some constitutional option by demonstrating the loose. The rules of NAB are such that there is a possibility of returning the national government to commit crimes they can save money from accountability. Another example is Alima Khan, who ruled out the Indian property according to the laws of Pakistan and ended his case by paying a penalty. This path is open to everyone, including Mian Nawaz Sharif and Asif Zardari. For the broader interest of Pakistan and economic stability, Imran Khan will have to agree with the solution that is in force and according to the constitution and the law. Imran Khan’s statements are on record that the leader who not take a tour can not becomes a successful leader so, it is appropriate that Imran Khan avoid sharp statements regarding NRO instead, to file a resolution in the Supreme Court to resolve this issue and by judging the judiciary, call the accountability process to reach the logical end. Everybody in Pakistan understands that Mian Nawaz Sharif and Asif Ali Zardari want the government to go on a routine route. Because both are no longer able to bury the jail, both of which have reached the result as a result they have no role in Pakistani politics now. Asif Ali Zardari wants his son Bilawal Bhutto Zardari to be accepted as an alternative leader similarly, Mian Nawaz Sharif also wishes that his daughter, Maryam Nawaz Sharif become his political heir. Since Pakistan is the state of influential powerful families in which the tradition of the law and the rule of law and rule still could not be root, there are clearly the possibility of dealing with Dale, Loose and NRO. Prime Minister Imran Khan is not as powerful as political, public and parliamentary all the matters of the state can be followed by their will and will while Pakistan’s people are extremely troubled by government policies.